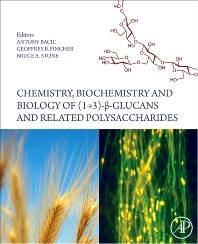 Chemistry, Biochemistry, and Biology of 1-3 Beta Glucans and Related Polysaccharides presents a comprehensive, systematic and authoritative survey of information about a family of chemically related, but functionally diverse, naturally occurring polysaccharides--the (1-3)-glucans. International contributors describe the chemical and physicochemical properties of these glucans and their derivatives and the molecular biological and structural aspects of the enzymes involved in their formation and breakdown. A detailed analysis of their physiological roles in the various biological situations in which they are found will be provided. Additionally, evolutionary relationships among the family of these glucans will be described.